During the Civil War, everyone knew about the John Singleton Mosby, the Gray Ghost, who led a band of men that attacked Union posts in northern Virginia. Although he never invaded Alexandria (that I know of), rumors flew many times of imminent attacks. A rumored raid always caused a flurry of barricading and stockading the main entries to the city. 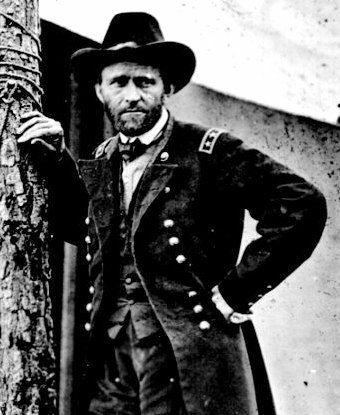 As for Grant, he spent 1864 and 1865 in Virginia, summoned from his Western command by President Lincoln. At a Civil War Roundtable meeting last week, David Goetz summarized highlights of his book, Hell Is Being a Republican in Virginia, which focuses on the relationship between the two men in the decades after the war. As Goetz recounted, Mosby publicly supported Grant in 1872 when Grant agreed to support the Amnesty Act of 1872. That made him a pariah in Warrenton, where he lived with his family (although the act benefited former Confederates); Goetz thinks the stress contributed to the death of Mosby's wife in 1876. In 1877, bereft and jobless, Mosby was appointed as U.S. Consul General in Hong Kong, where he hosted the Grants in 1879 for 10 days. In 1885, he was relieved of his post. Again, he asked Grant for help, not realizing that Grant was dying of throat cancer. 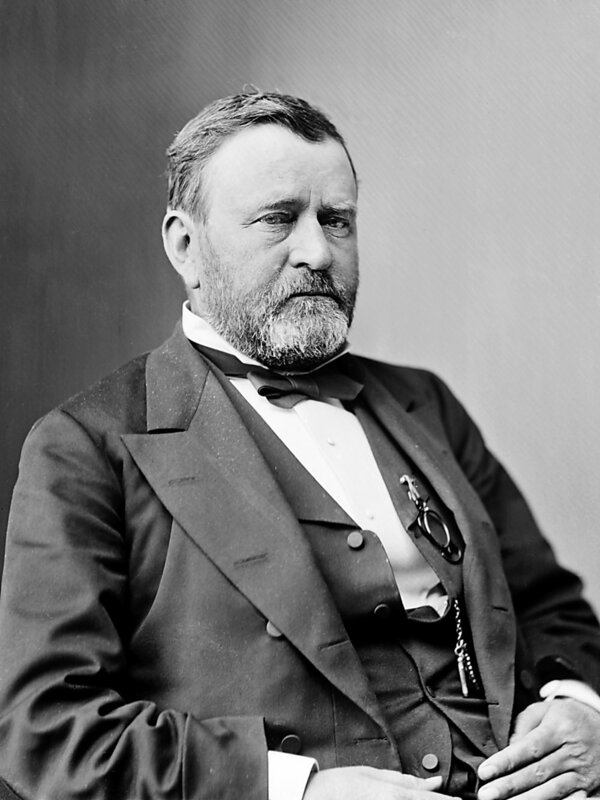 Grant came through, and recommended him to Leland Stanford, then head of the Southern Pacific Railroad. When Mosby returned by ship to California, he received an invitation to see Stanford, which resulted in a job as an attorney for the railroad for 16 years. Later he worked for the U.S. government he once fought, in Colorado and back in Washington, DC. Grant died in 1885; Mosby hung on until 1916. Goetz sees the relationship between two men as "completing the circle," from fighting to reconciliation. He interprets it as an example of the interconnections before, during, and after the war. As noted in an earlier post, not everyone buys into the post-war reconciliation story, but perhaps these two men found a way to bridge the divide.